Meet My Co-Writer and Illustrator! Einstein, Puzzle and Bounce spend their first holiday at the kennels at Sandcliff Lighthouse. But there’s no time for sunbathing. The woof-tastic trio meet the evil Mike Dodger, discover an ancient treasure map and find themselves caught up in a race against time. Luckily the pups are equipped with all the latest online gadgets and tech know-how. 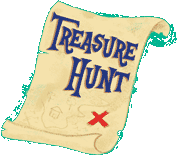 But will their super skills be enough to sniff out the treasure before Mike does? Hi, I’m Jennifer Gray. I write comedy adventure stories about animals. I started writing about 15 years ago, but didn’t get my first book published until May 2012. Luckily writing is like swimming or playing the recorder – you get better at it if you practise. Join in the fun with the world's greatest cat burglar turned detective. Atticus Claw's crime capers are the purr-fect read for ages 7 - 9. The squeak-out-loud funny series for beginner readers starring Coco and Fuzzy: two guinea pigs who love surfing the internet when their owners aren’t looking! 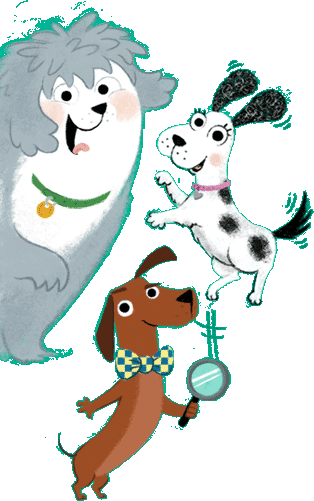 The brand new series about three detective puppies! 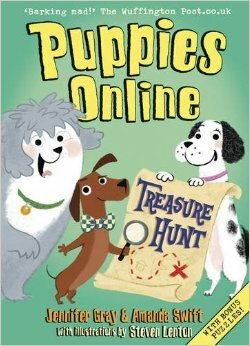 Woof-tastic adventure for ages 5 and up. Meet Ermine. She may be small but she's on a BIG journey around the world. You can send me a message through my website on the contact page.